Want to play Pokemon Go without leaving the comfort of your home? Many Pokemon Go players have used various hacks and cheats, primarily via GPS simulation app such as FlyGPS on Android and LocationFaker in jailbroken iOS devices, or use trick such as using Maps app to simulate fake location. For iPhone and iPad users who are not jailbreaking or cannot jailbreak the iOS devices, the alternative available to fake location for Pokemon Go is limited. But PokeGo++ (aka Pokemon Go Anywhere or Poke Go ++) is one of the best tweak available available for playing Pokemon Go on iPad and iPhone. Fake GPS location with ability to save set location for forever or specific duration. Use joystick or “tap to walk” to move around. 1x, 2x, 4x, 8x travel speed. Patrol emulates walking in a circle to hatch the eggs. Teleport to jump and snipe pokemon. Automatically walk home to real physical location, or fake location set by another GPS spoofer such as LocationFaker9 or ProtectMyPrivacy. On screen pokemon’s IV when entering capture screen. PokeGo++ was originally developed by Will Cobb. He lost interest in the project, and has since published part of the PokemonGoAnywhere source code on GitHub and transferred with development of Pokemon Go Anywhere to other developers who continue the project under the umbrella of PokeGo++ 2.0. Using GPS spoofing and teleporting function of PokeGo++ is considering cheating by Niantic, the developer of Pokemon Go, and may get your account permanently banned. PokeGo++ 2.0 is currently available for iOS devices, both jailbrake and non-jailbreak version. The difference is non-jailbroken iOS devices that installed with PokeGo++ tweak will need to reinstall the tweak every 7 days, as the PokeGo++ is sideloaded onto iPhone or iPad using Apple Developer account. 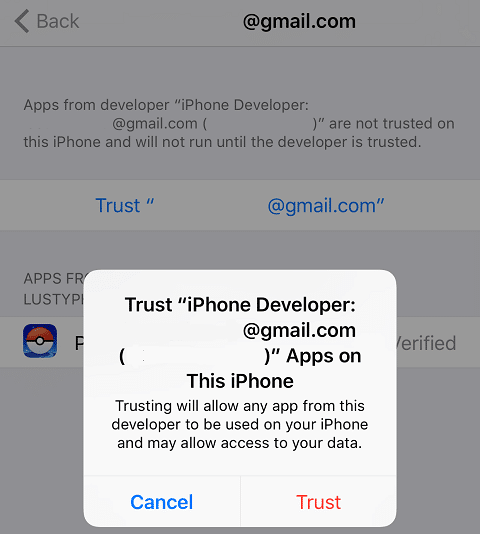 This is the restriction of free Apple Developer development certificate, not the limitation of Poke Go++ 2.0. In addition, non-jailbroken iOS users do not need to separately install official Pokémon Go app from the App Store, as the modded IPA has included the official game app to sideload. In future, the PokeGo++ 2.0 may be released for Android. Make sure that iTunes is installed on the Windows PC or MacOS computer. Download Cydia Impactor, a GUI tool to sideload and install IPA files on iOS and APK files on Android, from cydiaimpactor.com. Download the latest version of modded PokeGo++ 2.0 from pokego2.com. If you have installed Pokémon Go from App Store, delete the app. Connect the iOS device to the computer. If prompted, allow the iPhone or iPad to trust the computer. Run Cydia Impactor (Note: Do not run as administrator as drag and down may not work in Windows 10). Drag and drop the downloaded PokeGo++ .IPA file to into the Cydia Impactor. Alternatively, you can also click on Device -> Install Package, and then select the PokemonGo++ IPA. Enter the Apple ID user name (email address) and password when prompted. Cydia Impactor will use this account to login to Apple Developer to create a certificate to sign the IPA. The Apple ID account must be valid and active, and you can create and use a burner Apple ID account if you have any privacy or security concern. When with Apple Developer warning that the action will revoke and replace any existing Apple Developer certificate associated with your account, hit OK to continue. Impactor will start signing the PokeGo++ IPA and automatically install it to the connected iPhone or iPad. This step may take a few minutes to complete. When done, open Settings app on your iPhone or iPad which PokeGo++ was just installed. Go to General -> Profiles and Device Management. Tap on the new profile (which should be listed as email address you used to login in the Impactor), and New Profile, and then tap on Trust. This step may be unnecessary if you’re reinstalling the tweak after 7 days certificate expiry. You can now play Pokemon Go with all the additional GPS tweaks and spoofing support. Do remember to reinstall Poke Go ++ every 7 days. You will notice that the Pokemon Go won’t run anymore (auto close when tap) when the development certificate expired. Install Pokemon Go game from the Apple Store, but do not open it. 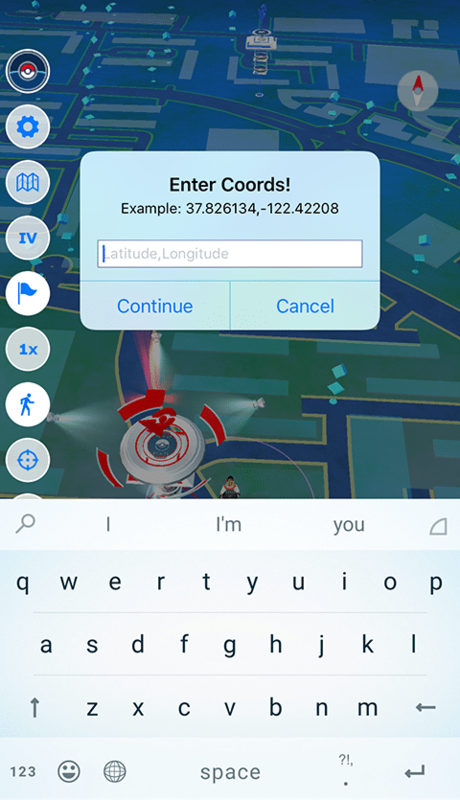 Add the source repo for Poke++ which is https://beta.unlimapps.com. Install Poke Go ++ for Pokemon Go. It will also install dependencies, namely xCon for Pokemon Go and Poke Patch for Pokemon Go. Run iCleaner (or other method you prefer) to clear the cache and respring again. On jailbroken devices, Poke Go ++ works forever. Once installed, you can start to teleport and snipe Pokemons.